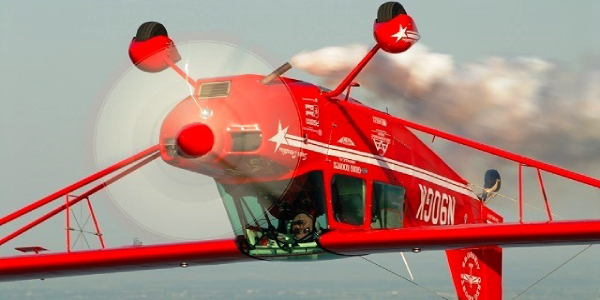 Are you fascinated by the pilots and aviation? Then you should soon be learning this fantastic stunt. A lot of you must have attended a lot of stunt shows. They must have performed crazy stunts to entertain all of you.The stunts are always a fascination. Here is a chance to learn it up yourself. The first and foremost step is to get aviator license. In the USA There are few rules and regulations which are to be compiled to get a pilot’s license. The controls include checking up your health and giving a medical exam. The examinations include both written and practicals. The practical test is a flight proficiency examination. The course is available at a certified flight school. The next step is logging the flight timing. The instructors say that the license is the certificate to learn further. With this, you can put in as many hours as possible to learn up in different conditions. The purpose is to learn to fly. It also includes the efficiency to fly the plane at any scenarios as possible. Step three is planning the flight aerobatics. There are many certified schools in the USA, so you can easily find a school to teach you. First, take up the demonstration flight with your instructor. This would be a good idea as it would give you a rough idea and glimpse into the flight world and training and this would also let you know about your body reactions to the flight experience. This opportunity will allow the instructor analyze the skills the student would have and how much he has to teach you. The next step involves you to schedule the course of the study. The instructor will give detailed instructions which you must replicate. Each of you will learn at your own pace, and you need to keep practising to achieve the right skills. The next step is to buy the mainly built plane or rent out a plane. If you are going for the buying option, you should understand the intricacies of the flight and you can never even by mistake attempt a wrong dive. You should continuously practice gaining supremacy over your skills. Enrol yourself in various contests to get a hold of the ability and understand the level of your competency. Apart from these, regularly watching the shows and keenly observing the pilots can enhance your skills. It is also necessary to interact with the pilots and aviators and understand their experiences to implement their moment of learning in your practice sessions. Plan your schedules well ahead and book your appointments ahead and never miss your chance to ride the plane. Refer to articles on the web pages and subscribe to newsletters. You should also read a few books on aviation to understand and develop your skill further. Never miss an opportunity to showcase your piloting skills once you are ready for the show.